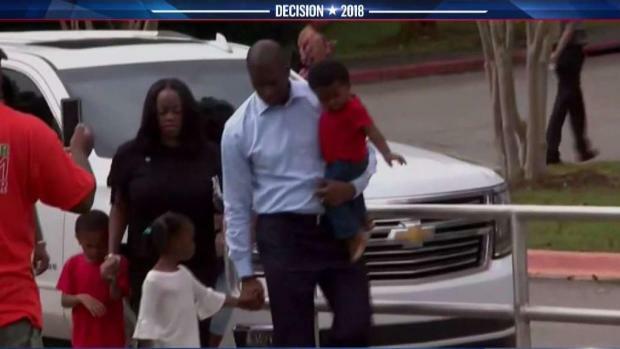 Mayor Andrew Gillum concedes the governor's race against Ron DeSantis. Former Republican U.S. Rep. Ron DeSantis rode President Donald Trump's backing to victory in the governor's race Tuesday, defeating Democratic Tallahassee Mayor Andrew Gillum. Gov. Rick Scott, who also received Trump's support, led incumbent U.S. Sen. Bill Belson in race that was too close to call as of midnight Wednesday, according to an NBC News projection. DeSantis, 40, was considered an underdog before Trump tweeted his support for DeSantis in December, a month before he got into the race. 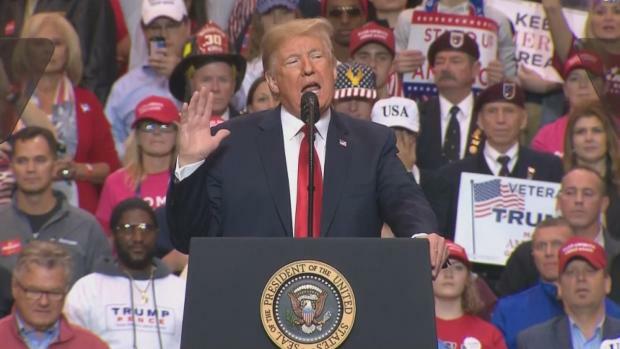 Trump campaigned to help push DeSantis to a primary victory in August and came to Florida two more times to propel him past Gillum in the final days of the election. 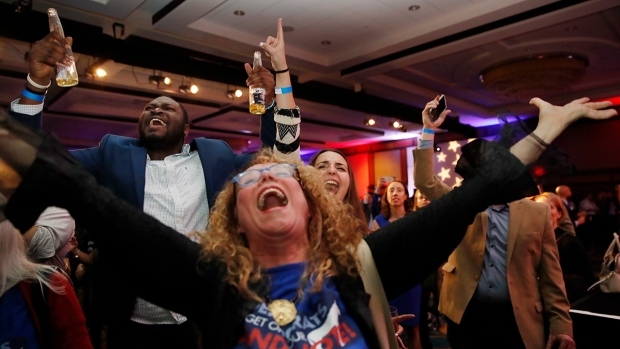 The win maintained the grip Republicans have had on the governor's office since Jeb Bush was sworn in in 1999, and DeSantis will have a chance to return the favor for Trump in 2020, when Florida figures to play a pivotal role in the presidential election. "I sincerely regret that I couldn’t bring it home for you, but I can guarantee you this: I'm not going anywhere. 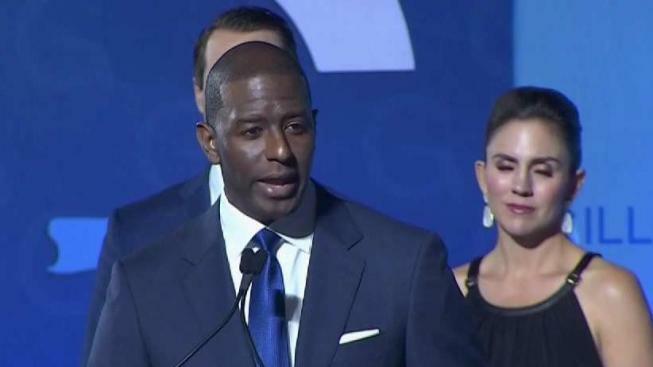 We're going to fight," Gillum told the crowd gathered on the campus of Florida A&M University as he conceded late Tuesday. NBC 6's Willard Shepard has more as the two men running for the state's top job headed to the polls Tuesday. Gilliam, 39, urged supporters not give up the fight and pledged to remain on the "front lines" of the political struggle to claim a seat at the table. "We still have to show up every single day and demand our seat at the table [of power]," he said. "We have to be willing, inside and outside elections, to say that our voices still matter. That we still have relevance. Gillum had been trying to become the state's first African-American governor and the first Democrat elected to the office since 1994. Meanwhile, Scott declared victory over the three-term Democratic Sen. Nelson, likely ending the political career of one of Florida's longest serving officeholders. NBC News had not yet called the race. Scott's lead over Nelson was less than a percentage point. "This is obviously not the result Senator Nelson's campaign has worked hard for," the spokesperson said. "The senator will be making a full statement tomorrow to thank all those who rallied for his cause." White House press secretary Sarah Sanders said in a statement that President Trump had made congratulatory calls to winning Republican Senate candidates, including Scott. Nelson was a congressman from 1979 to 1991. From 1995 to 2001, he served in state government before his Senate election in 2000. The wealthy former hospital executive, who entered politics as part of the 2010 tea party movement, poured $60 million of his own money into the race. It's was a largely negative campaign, with Scott depicting Nelson as a confused, empty-suit politician who has achieved little in his time in Washington. Nelson has criticized Scott as an untrustworthy Trump supporter who has used the governor's office to increase his wealth. His supporters also hit Scott for the state's environmental problems, calling his "Red Tide Rick" for the deadly algae that has killed millions of fish off the Florida coasts. 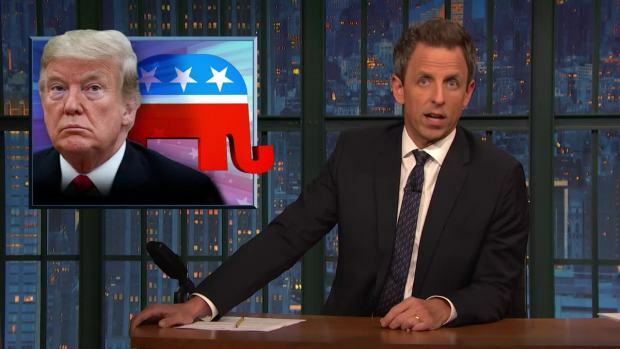 Seth Meyers takes a closer look at Republicans cycling through one crazy stunt after another in the final hours before polls open on Election Day.